Moniki is an island that is uninhabited. 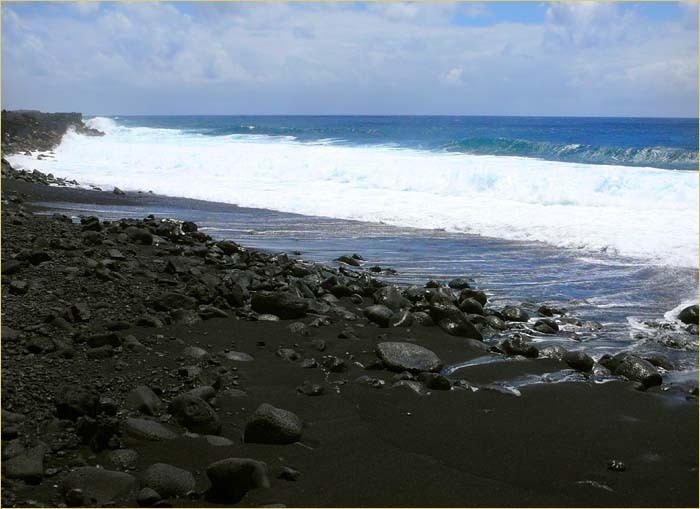 It has an active volcano that erupts about once a year for no more than an hour or two. 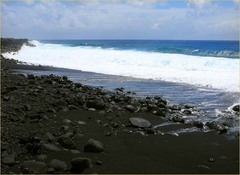 The beaches of Moniki are black sand and the vegetation sparse. The rocks, however, are quite sharp.